A native Houstonian, Erika Johnson has been a member of the Houston Grand Opera Orchestra since 2001 and performs regularly with Mercury, Ars Lyrica, Houston Ballet Orchestra, and River Oaks Chamber Orchestra. 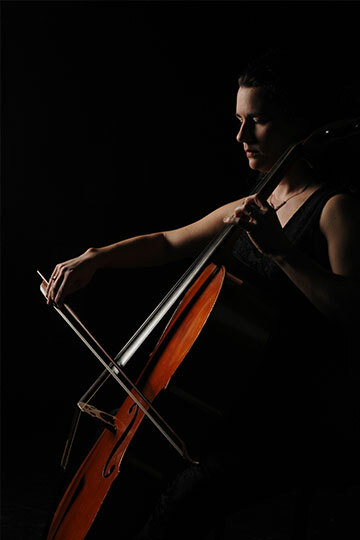 She is an accomplished chamber musician, having won the Schaad Award at the Carmel Chamber Music competition with the Moores Piano Trio and recorded with guitarist Mark McCain in the guitar-cello duo, Touch the Strings. She also writes worship music and records regularly with various Christian artists. Mrs. Johnson is a graduate of the Moores School of Music at the University of Houston, where she studied with Laszlo Varga.